We solve all home comfort problems including air filtration, humidity, zone temperature control, and more! 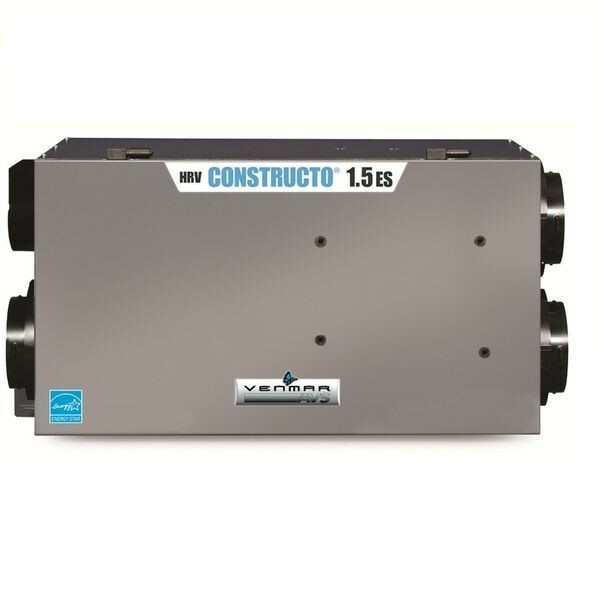 Venmar AVS air exchangers are offered in a wide range of models to accommodate any size home or ventilation requirements. We are the supplier and Service Agent for Venmar products. 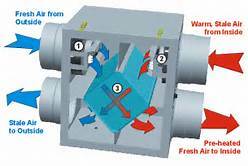 Effective and efficient mechanical ventilation is an important part of a healthy indoor environment. We can help determine if your home or building is prone to indoor air pollution problems due to organic resins or vapors, poor air turnover or high humidity. With proper ventilation and air circulation, a building can maintain excellent air quality that can help improve the health of those inside. Homes built in the last 40 years in Canada are relatively airtight. Before that we generally relied on leaky uninsulated walls to provide fresh air and prevent mold and mildew, and they did that very well. Vapor barriers stops the flow of moist air through walls, this of course leads to a buildup of moisture in homes, and condensation on windows is common thing. This leads to a buildup of mold and mildew in homes. Modern day airtight homes need mechanical assistance to stop moisture damage and protect indoor air quality. Today's homes are so well insulated that they trap humidity and pollutants indoors. Result: Over 50% of homes show visible signs of humidity. However, it is possible to breathe fresh air inside as if you were outside and fully enjoy your home. Daily activities such as showering or washing dishes release moisture into the air. Over time, if this moisture cannot be evacuated, its accumulation will cause mold build up, unpleasant odors and costly damages to the house structure often in hidden places. When discovered, it is already too late. Ventilation is a necessity. But what is the most cost-effective way to ventilate while retaining the energy used for heating and cooling? Venmar offers a wide range of air exchangers with Heat Recovery (HRV) and Energy Recovery (ERV) technologies. The HRVs transfer heat from exhaust air expelled from the house to the fresh air entering the house, without mixing the stale air and the fresh air. In addition to this feature, the ERVs limit the amount of moisture entering the house (ideal for humid climates). Venmar units provides Fresh Air at low cost! During the heating seasons, heat is transferred from the warm indoor exhaust air into the cold outdoor supply air inside the HRV heat exchanger. 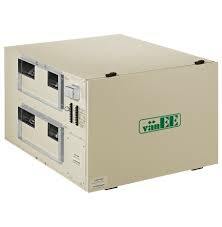 The ERV heat exchanger not only transfers this heat, but transfers some of the moisture in the more humid exhaust air into the less humid supply air. The 1.5 constructo unit has 66-150 CFM, washable foam filter, 5 years warranty and warranty on core limited lifetime. Venmar is a leading Canadian manufacturer and distributor of ventilation systems that makes it possible for us to offer our customers ventilation systems that meet their expectations. We have other brands of air exchangers available to us, however we highly recommend this product because of its quality and warranty. Commercial kitchen exhaust hoods are most important, but often the most underappreciated is the, part of your restaurant and the ventilation system that connects to it. 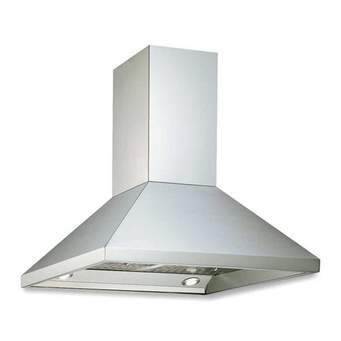 We can supply and install new exhaust hoods or make alteration to your existing one. Vanee with High CFM ventilation for small business owners concerned about indoor air quality (excess moisture, smoke, odors and cleanliness). Why install an Air Exchanger? Lower utility bills by reducing the load of air conditioning and heating systems in summer and winter respectively. Unmatched comfort by limiting the amount of moisture entering in house during humid weather and by avoiding indoor dryness during really low moisture outdoor conditions. Easier and less expensive installation, because these units don’t require a drain connection.